Pasta Tech | Technology news for people who aren't tech savvy. Ladies and gentleman of the Internet. After a much planning and doing (this was the hard part), I’ve finally moved this tech blog over to dedicated hosting, independent of WordPress.com. As part of an identity re-brand, the new website is now known as TEKUNOLOJI. You can visit the website at http://www.tekunloji.com or hit the big screenshot below. With a real domain and a new name, I think the blog will finally be getting the attention it deserves. Please update your bookmarks to point to the new URL. Again, thanks to everyone who has kept up with the blog over the last eight months. It means a lot to me when there are readers visiting this website. It means I’m doing something right. Lastly, it would be a tremendous favor if you could Twitter the new website, tell a friend on Facebook, and just spread the word about TEKUNOLOJI.COM. Every person counts. Thanks for all your support again, and see you at the new website! Another day, another rumor. This time it’s about Zynga and Facebook. You may know Zynga, developers of the highly addictive and “social” games FarmVille and Mafia Wars. With an over 82.7 million active users cultivating their virtual farms, it’s no wonder Zynga may be pushing to test their player’s devotion meters. How hooked on FarmVille are you that you would leave Facebook to play it? That’s the other thing. I’m not so sure it would be as fun or sustain the momentum. I know I wouldn’t play Restaurant City if it was on another website way back then. So what do you think? If Zynga does decide to split from Facebook and host its games on its own servers, would you jump with them? One thing that can be guaranteed is that if Zynga leaves, Mark Zuckerberg will be pissed. Don’t worry though, Playfish would be more than happy to satisfy your social network gaming needs. In the U.S. looking for the perfect handset was simple (everyone buys a RAZR) and still is (everyone buys an iPhone). I hardly ever see variety. If you’re poor, you have an iPhone and if you’re rich, you have an iPhone. Maybe if you’re sitting on a pile of cash you’ll deck your iPhone out in Swarovski crystals or 24 K gold or diamonds. 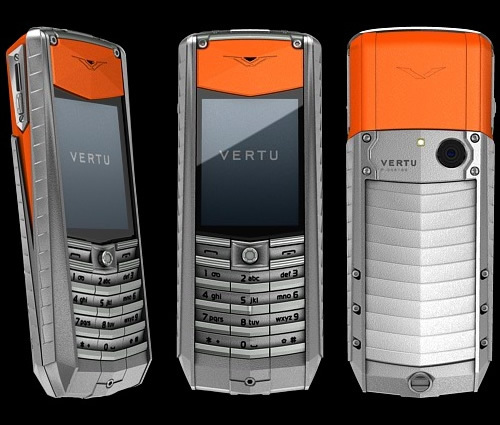 The alternative for rich money baggers is to buy a Vertu phone. I don’t know what’s so appealing about them. They’re not exactly known to be lookers and I heard from somebody a while back that Vertu phones are really just Nokia innards. I mean, who in their rightful mind would still pay thousands of dollars (some go up to a couple of ten thousand USD) for a feature phone when smartphones do so much more? It can’t be that Vertu users can’t afford an unlimited data plan can it? People hate subscribing to stuff. We have phone bills, cable, newspapers, magazines, internet, and lots of other crap. 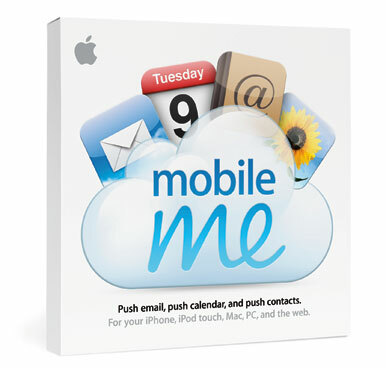 Apple’s MobileMe may not have to be another. Although I personally don’t use push service, I know many an iPhone user who was suckered into buying the service. Most of them don’t even know how to sync their calendars, mail, and other stuff to it. Word on the block is that Apple may soon be offering the service for free. Sounds solid doesn’t it? Or, maybe they will give it away with a catch. Like upgrade or buy a their soon to be new iPhone and get the service for free. It might even be a promotional thing. We’ll keep you updated as more unfolds. Last time we checked, Microsoft’s solution to the Wii’s motion controls, Project Natal was slated for the holiday season. GamesIndustry.biz reports that Microsoft Saudi marketing manager Syed Bilal Tariq said that Project Natal will launch “somewhere in October” worldwide. Granted, it’s not a solid release date, it’s still something to wet the fanboys who can’t wait for some Minority Report style gesture-based controls. Launching in October could potentially undercut Sony’s Move controller device. Typically, November kicks off the shopping season, but with Sony readying new peripherals, it will be a dirty war this fall. Better start saving your dollars if you want one. 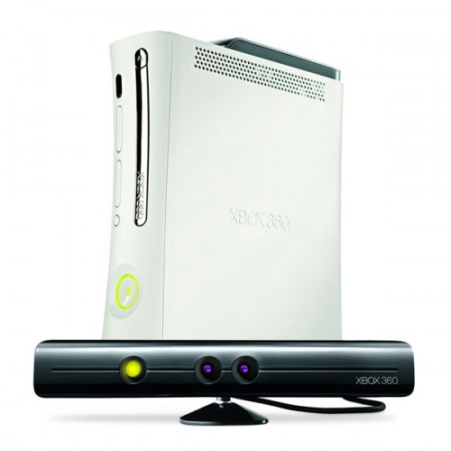 Finally, to round out the Xbox 360 news, video game analyst Michael Pacter from Wedbush Morgan Securities has repeatedly put his bets on an Xbox 360 slim. This would bode well for the Xbox 360, as a smaller console has done wonder for Sony’s once floundering PS3. Everyone knows I’m heavenly in love with the Olympus PEN E-P1 & EP-2. The latter of which will soon be available in silver by the way. 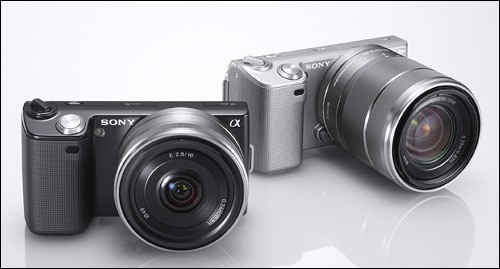 The latest camera to sweep me away and almost sway me to the entire Micro Four Thirds format is Sony’s NEX 3 and NEX5. 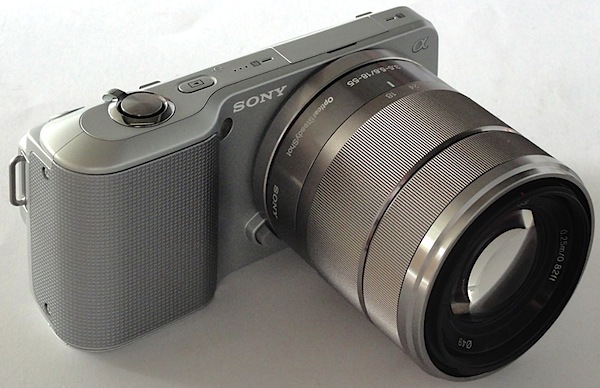 Photo Rumors managed to get a leak of photos and specs of Sony’s thin camera that looks to pack a whallop. 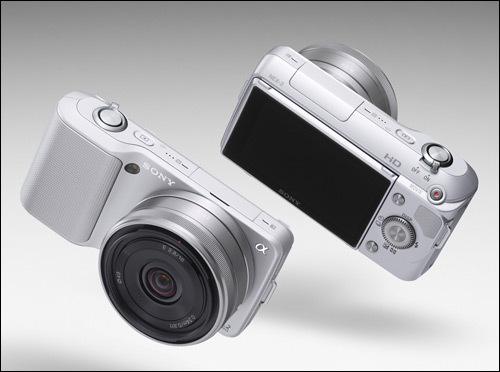 Image Sensor: 14.2 million effective pixels. Metering: Multi pattern, centre-weighted and spot. Sensor Size: APS-C-sized CMOS (23.4×15.6mm). 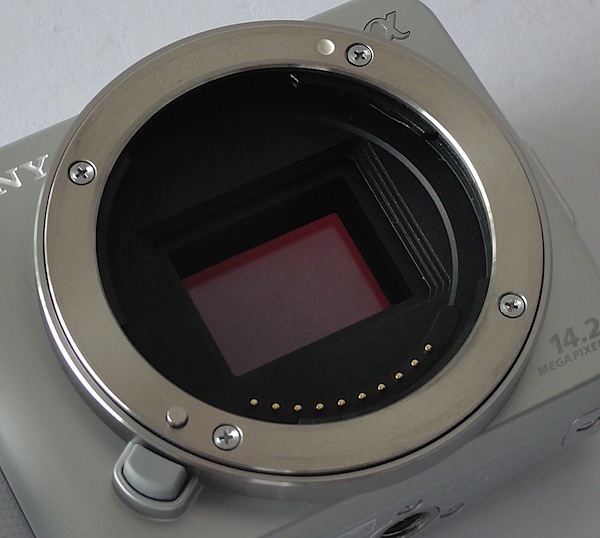 Lens: Sony E Series mount. Shutter Speed: 30 to 1/4000 second. Flash sync: 1/160 sec. Memory: Memory Stick PRO Duo, PRO-HG Duo, SD, SDHC, SDXC cards. Image Sizes (pixels): 4592×3056, 4592×2576, 3344×2224, 3344×1872, 2288×1520, 2288×1280. 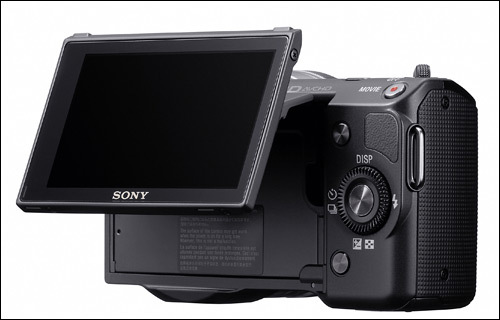 Movies: 1280×720, 848×480, 640×480 at 30 fps. 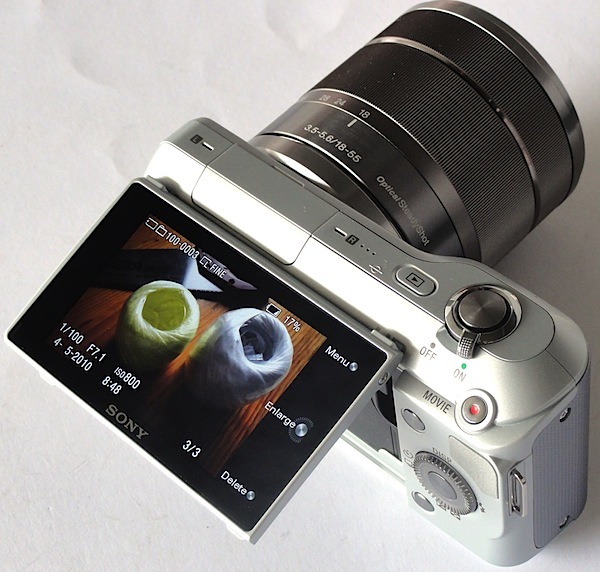 LCD Screen: 7.5cm LCD (921,600 pixels). File Formats: JPEG, RAW, JPEG+RAW, MPEG4. ISO Sensitivity: Auto, 200 to 12,800. Interface: USB 2.0, HDMNI, AV. Weight: 297 g (inc battery and card). 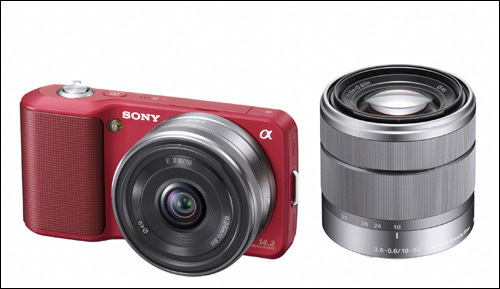 Price: Around AUD1000 for body and kit lens. The AUD price is roughly $901 USD. As if Gizmodo’s extensive leak of the iPhone 4 prototype wasn’t enough to convince you that the new iPhone is going to take a new path in design, SmartPhoneMedic has video proof that they have obtained the middle plate for the next iPhone. Based on the video, SmartPhoneMedic confirms that the new micro-sim card has indeed been moved from the top of the phone to the right side. The middle plate fits perfectly into their LCD. I’d say it is safe now to consider this the new iPhone that Jobs will likely reveal at WWDC 2010 next month.